Was this a good year for gold? Currently, gold is UP $220.70, or 15.94% in the past 12 months. 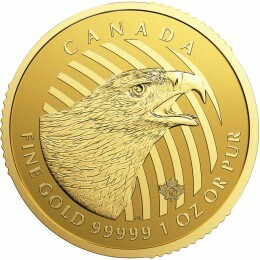 Gold rose by $217.75 from 2008 – 2009; it rose by $318 from 2009-2010. It looks like another stellar year for gold, not as good as the past two, but still the best game in town. 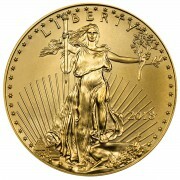 I will be very surprised if gold does not top $2,000 in 2012. Sinclair looks for gold to reach $1,700 – $2,000 next year – and it is not polite to disagree with Uncle Jimmy. 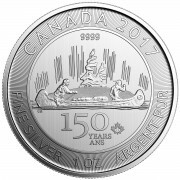 My minimum goal for silver in 2012 is $35 to $50. That should equate to $1,700 – $2,000 gold, depending on where the gold/silver ratio ends up. It is currently 55 to 1 but could move back down to 50 to 1 or lower, as the year unfolds. How certain am I of these numbers? Let’s just say all of the factors are in place to reach them, but 2012 is an election year and rising gold and silver is not something that the administration and the Fed will welcome as they try and sell the Nation the myth that the economy is improving. Continued gold leasing and silver short selling could be used to full advantage to slow the gains, but there will be gains and worst-case, they should be significant. There is just too much demand for PHYSICAL gold and silver coming out of the Far East for the paper manipulation to get much traction. It’s hard to believe how bad things are. The media report these facts, but not in one place. Here are the first 8. #1 A staggering 48 percent of all Americans are either considered to be “low income” or are living in poverty. #2 Approximately 57 percent of all children in the United States are living in homes that are either considered to be “low income” or impoverished. #3 If the number of Americans that “wanted jobs” was the same today as it was back in 2007, the “official” unemployment rate put out by the U.S. government would be up to 11 percent. #4 The average amount of time that a worker stays unemployed in the United States is now over 40 weeks. #5 One recent survey found that 77 percent of all U.S. small businesses do not plan to hire any more workers. #6 There are fewer payroll jobs in the United States today than there were back in 2000 even though we have added 30 million extra people to the population since then. #7 Since December 2007, median household income in the United States has declined by a total of 6.8% once you account for inflation. #8 According to the Bureau of Labor Statistics, 16.6 million Americans were self-employed back in December 2006. Today, that number has shrunk to 14.5 million. Here is a headline that caught my attention: Paulson Gold Fund Said to Lose 10.5% in 2011 even as Metal Heads for Gain. Since gold is UP 15.8%, year to date, that should tell you a lot about the mining share sector. That is precisely why I have moved out of virtually all of my shares and invested the funds into physicals. We have received a report of unusual banking activity. Banking screens on 138 different currencies are show 00.000. Some rate fluctuations are beginning to appear. There have been no answers on this activity but banks have been notified to expect a large change in currency rates.” (quote not attributed to protect the source). In our view, what is happening is a massive devaluation in probably the Euro Currency relative to the values versus individual nations. The ECB loaned over $600 Billion (produced out of thin air with no collateral) last week to European Central Bank Member Nations. We think this next step is to re-configure the values of the Euro within each member country. Obviously the little broken ones like Greece, Portugal and Ireland will be de-valued MORE relative to Germany and France. Last report we got said the consortium of countries amounted to 27 total. The B.I.S., the Bank for International Settlements in Basel, Switzerland is the bankers’ bank. The BIS is very secret about their work and activities. They are probably the orchestra leader in this event. We also noticed later Friday that the ECB is taking a $40 Million dollar lease in a New York City Building. Are they moving the whole headquarters from Brussels, or is this a newer and bigger expansion of the ECB? I think it’s an expansion and the IMF is fin charge for sure in charge. The IMF is gathering cash from member nations to cover their activities in propping-up Europe and who knows who else. This is all part of the grand scheme moving to a One World Government and One World Currency. In our view, when the credit and bond markets breakdown, the global Super-Crash is underway in an expansion of Greater Depression II. Read your history from 1900 to 1918. This is being exactly replicated from 2000 to 2020. The Panic of 1908 was repeated in our Panic of 2008. The bigger world war begins on schedule from 2013-2014 to 2018. We think the gold and silver rally can peak in 2017 but perhaps extend all the way to 2024. After Obama is re-elected next year, we forecast a larger expansion of demonstrations not only throughout the world but in major cities in the USA. The calls for impeachment will reach new screaming levels after the dirtiest political campaign in history. There will be lawsuits and re-calls with lots of voter fixing and tampering. We think Romney is the GOP candidate and he will not have one chance in a one million to be elected. Someone has filed a $1 Trillion Dollar lawsuit in this mess and there is a lock-down on information relative to the suit and to the impending (we think) devaluation. It is obvious to us that this is being done over the Christmas holiday so markets cannot react as they are closed. Many will not open until next Tuesday after the designated Monday, Christmas holiday in the USA. Meet Miles Franklin investment advisors, attend a Q & A session or join us at an upcoming conference. Preview | Print How many times have you heard “You can’t eat gold” as a reason NOT to own gold? What lies ahead for the Economy, the Stock Market, Oil, Natural Gas, Gold and Silver, and Monetary Policy? For 29 years the staff at Miles Franklin has delivered excellence in many ways – knowledge, relationships, product offers and customer service. They understand the macro/micro economics and geo–political advantages to investing in precious metals to protect your wealth. 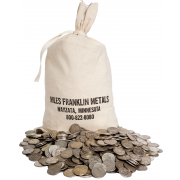 The team at Miles Franklin build life-long relationships because they custom-tailor solutions for investing in precious metals to meet each individual’s needs and circumstances. Our brokers have or can acquire most any type of precious metal from anywhere in the world. Each and every order is managed and monitored from start to finish. We are licensed, bonded, and carry an A+ BBB rating.